Dec. 3 | Join the Whole Foods Grand Re-Opening Party in Tustin+ Check Out The New Updates! 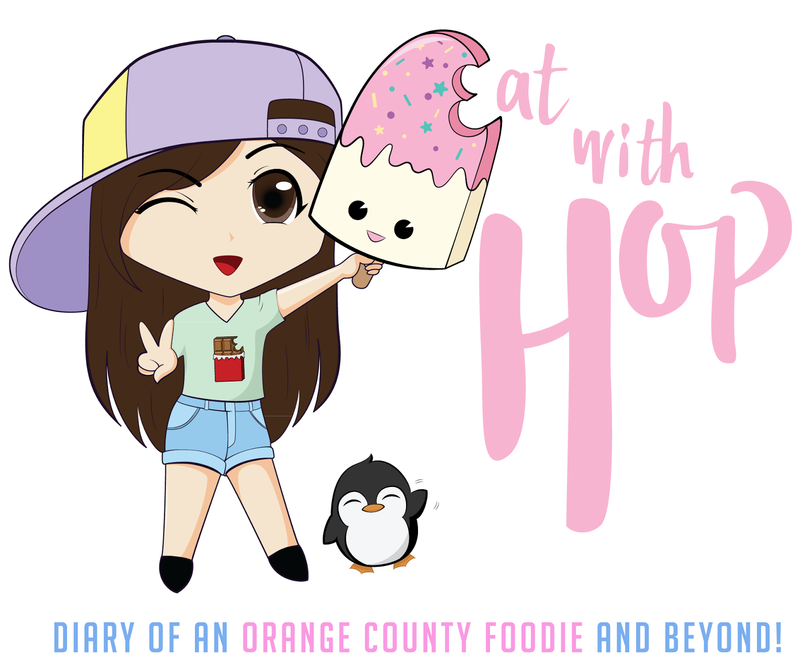 - EAT WITH HOP! Home / CA / EVENTS / ORANGE COUNTY / SUPERMARKET / TUSTIN / Dec. 3 | Join the Whole Foods Grand Re-Opening Party in Tustin+ Check Out The New Updates! Whole Foods had a major remodel and is hosting a GRAND RE-OPENING party for everyone! Come join all the fun and check out the new additions which includes a poke bar, expanded craft beer, wine & spirits, all-day breakfast and more! 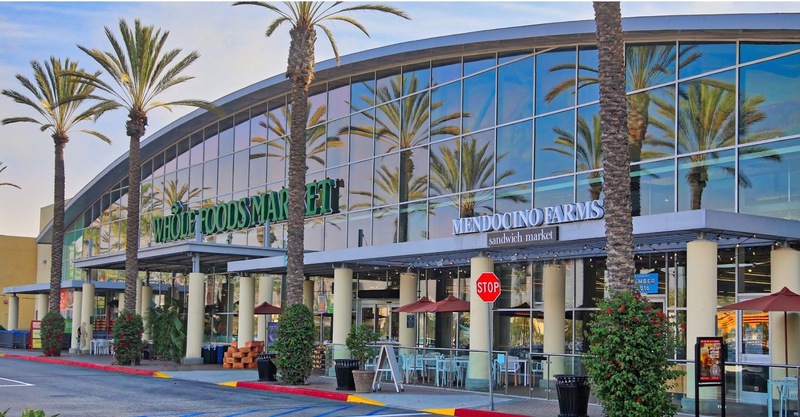 Whole Foods Market has partnered with Mendocino Farms to open a location inside its Tustin store at The District, opening Thursday, Nov. 17, at 2847 Park Avenue Tustin, CA 92782. The restaurant opening coincides with the completion of a major remodel to the 60,500-square-foot store with expanded product offerings and updates in almost every department. JOIN THE PARTY ON DEC. 3! 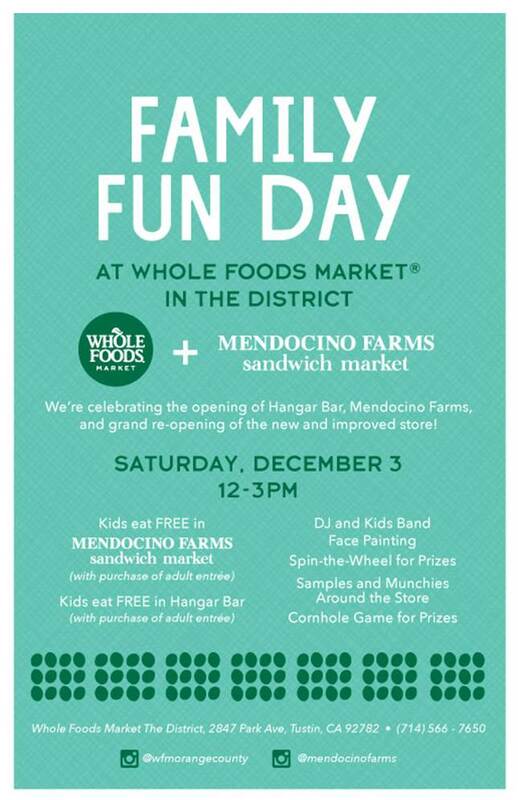 Whole Foods Market Tustin will commemorate the grand re-opening Saturday, December 3 at noon with a “bread-breaking” ceremony with team members, Mendocino Farms and the community. The store will host a “Family Fun Day” immediately following from 12 p.m. to 3 p.m., with live music, games, food and beverage demos, sampling, a DJ and more. Stay Connected with Whole Foods!